Still need some warmth but desperately seeking spring? 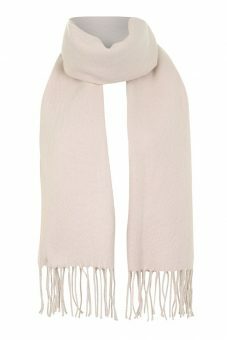 We’re digging this super soft TopShop scarf that will keep you warm but looking light and airy. 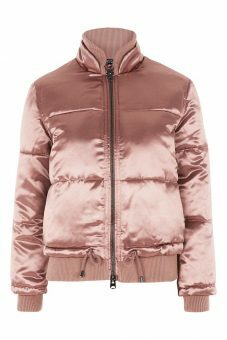 If you’re brave enough to sport blush on blush, we’re also loving on TopShop’s half puffer/half bomber jacket. Heading to a fancy night out? Pair this chiffon deep v-neck with a good leather skirt and some OTK boots. Yes please! Best part, this body suit is on sale! More of a one piece kind of gal? We’re loving this chiffon and lace combo on Tobi –best part, it has sleeves for the countdown of winter! 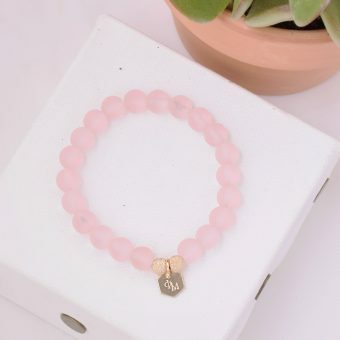 Maybe you’re looking to spice up a regular winter outfit with some blush accents or statement pieces. 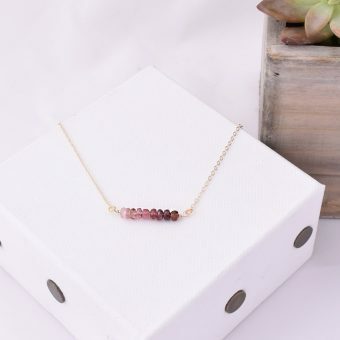 Try this pink ombre pink tourmaline bar necklace or blossom pink sea glass bracelet. 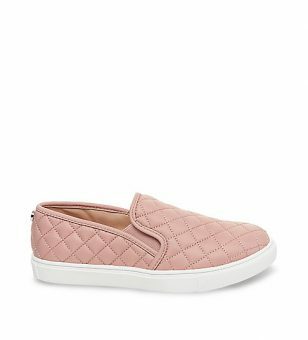 Slip on these kicks from Steve Madden and it’s an instant blush upgrade for your weekend uniform. This entry was posted in Members Only: A blog for chics and Greeks alike. and tagged blush, fashion.